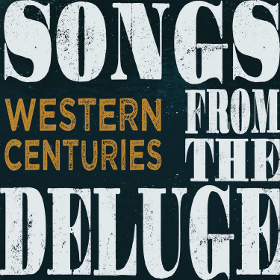 Country music supergroup Western Centuries have announced their second album Songs from the Deluge to be released via Free Dirt Records on April 6th. A follow up to their well-received debut, 2016’s Weight of the World, it combines the songwriting and voices of three distinct artist into one sound representative of the diverse yet conjoined legacy of the American roots music experience. Country singer and songwriter Cahalen Morrison has quite a following all his own from his various country projects, including with Country Hammer who were responsible for the highly-acclaimed honky tonk record The Flower of Muscle Shoals, as well as his various works with collaborator Eli West. With more than enough talent to be his own man, Morrison still often finds himself more at home sharing the stage with others. Ethan Lawton is known for his earlier work in Zoe Muth and the Lost High Rollers, and also for the distinct Cajun cadence he brings to his original songs, imbibing a spice to Western Centuries beyond traditional country music. 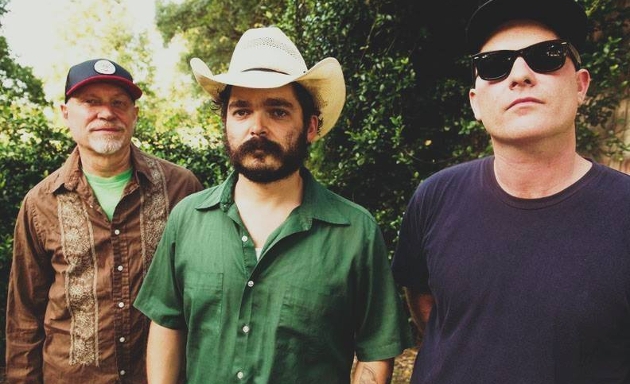 Jim Miller became known through his work with Donna the Buffalo, and adds yet another layer of unique perspective, and an additional songwriting voice to the collective. He also lends many of the lead licks to the band, but one of the best things about Western Centuries is they’re all multi instrumentalists, and along with swapping songs, they switch instruments to always keep things interesting and unexpected. They are joined by Nokosee Fields on upright bass, and Grammy-awarded Creole legend Joel Savoy acts as co-producer on Songs from the Deluge, adding a special touch of expertise to the project. Songs from the Deluge is now available for pre-order. What a GREAT vibe this has . Everything is so organic and alive …..This kind of stuff should be defining country music . Its so real you can’t help but smile and wonder why in God’s name it isn’t . THIS is what Zak Brown and Co. lead us to believe they’d be bringing to the table until they contracted MRS ( Music Row Syndrome ) and forgot who they were . Any group with Cahalen Morrison in it is a supergroup. I actually felt the same thing when people were calling the Steeldrivers a supergroup. I had no knowledge of any of those folks. And Stapleton sounded nothing like bluegrass. So i was confused, until a few listens in, and then it was abundantly clear. After a few listens on this one, i gotta say i am excited. I saw them last summer and I can say that if you are going to save country music it will be through artist like this. Go see them if they come to a venue or festival near you. And no, they will never get played on commercial radio, which has been a lost cause for at least two decades now. Good to hear Joel Savoy is still in it. Fine picker, from a fine family. I am speechless. The steel guitar is killing me. The vocals and vibe is incredible. They will not be on modern radio, which is a good thing. Pure and unsoiled. Hope Nucksville doesn’t discover them or they will be ruined. Good stuff! Something new I haven’t yet heard. Thanks Trigger! Well played sir. You’ve turned me onto yet another great band. I’ve been listening to their first album on Youtube and it’s great. I will be buying this and the first album. I will also be in attendance if/when they ever come to MN. Thanks for putting them on my radar. This is why I come here. Keep up the good work sir. Their 1st album was fantastic. I’m looking forward to this one. Trigger I want to tell you I really appreciate all the hard work you put into your website. I’ve gotten so much great music I would have never found if it wasn’t for Saving Country Music. Western Centuries is one of the examples. Keep up the great work. Thanks again. actually has a bit of grateful dead feel. live at kexp four tunes from this album. Fantastic recommendation! Thank you, Trigger, for rustling up another gem! Been following Jim Miller since 2003 when I first saw Donna the Buffalo (a band that really thrives in a live setting). Strong singer, great sense of rhythm, and great taste in music. He didn’t write many songs with Donna, but he would always pull out well-placed country covers like “Finally Friday” or “Two More Bottles of Wine.” Can play cajun, zydeco, old-time stringband stuff, honky tonk, Dylan covers, etc. Intelligent guy. I think he has a Ph.D. from Cornell and used to work as a curator at the American Museum of Natural History. I’m loving his stuff with Ethan, Cahalen, and Western Centuries. Donna the Buffalo is still a great band, but not quite the same since Jim left. I’ve been hoping to see Western Centuries get another mention on the SCM pages. A new album is great news. My CD copy of “Weight of the World” gets a regular thrashing, it is such an excellent album! This is the stuff that SCM exists for – genuine country sounds, brilliant musicianship, talented vocalists and superb song writing. Can’t wait to get hold of the new release.